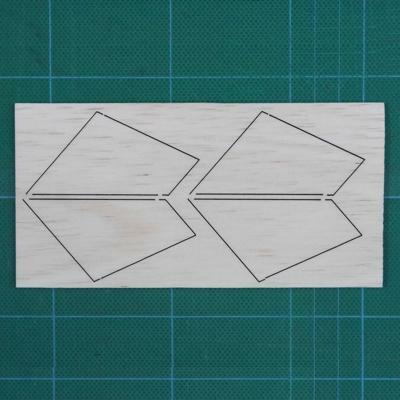 Lazer-cut balsa fin set. Four fins per set. 1/8" thick balsa; Root length 1.75"; Tip Length 0.75"; Width 1.75"